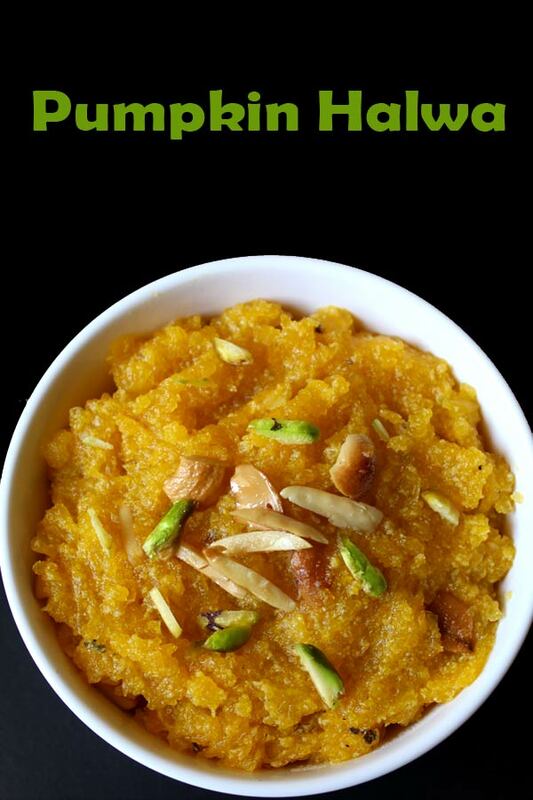 Pumpkin halwa is very easy to prepare with less ingredients. 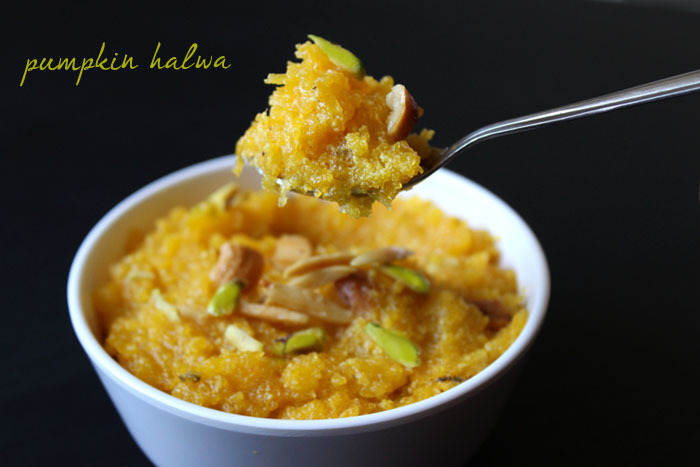 In this recipe i used sugar for making halwa. but you can use Jaggery. you can also add unsweetened condensed milk or khoya for extra taste. I didn’t use them to make a less calorie sweet. I never used pumpkin in 12 years of my married life. but on one day when i read an article regarding the health benefits of pumpkin and it’s seeds, i started using it. 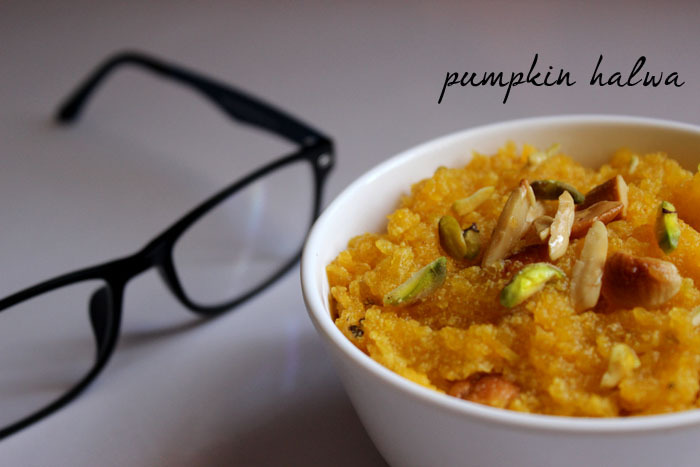 Pumpkin is rich in dietary fiber, anti-oxidants, minerals, vitamins. It is also rich source of minerals like copper, calcium, potassium and phosphorus. Heat up the pan first,then put ghee in it. add nuts,roast them on a low flame and take them out. add grated pumpkin and saute for about 5 minutes till the raw flavor goes away. add milk and cook till the milk disappears. add sugar and cook till you get halwa consistency. add cardamom powder, mix it again and cook for 2 minutes. add roasted nuts and turn off the heat. you can also use condensed milk or khoya for a change.